Clinic appointments are offered in Durham City and Sacriston. Providing counselling, psychotherapy and specialist psychological services to individuals, groups and organisations in Durham and the North East of England. Chartered Counselling Psychologist in Durham. North East Counselling and Therapy provides counselling, psychotherapy and specialist psychological services to individuals, groups and organisations in Durham and the North East of England. Counselling and psychological therapy appointments are carried out in comfortable, discreet, professional environments across two locations in Durham with easy access by public transport and car. If you would like to find out more please contact me. 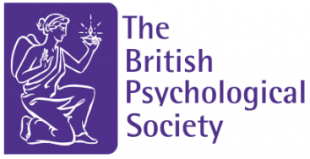 Based in Durham, I am a chartered Counselling Psychologist fully qualified with both the Health and Care Professionals Council and British Psychological Society. To learn more about me please see my about page or see my profile on the counselling directory. Drawing on evidence-based psychological models and theories I will help you to build an understanding of your difficulties and examine what can be done to help overcome them. Through practical interventions, we can also introduce new techniques and coping strategies to empower you to enhance your well-being, with the aim of ensuring that any change is well established and long-lasting. For more information about my approach to counselling and therapy interventions please see the Therapy page. As an accredited counselling psychologist I have extensive experienced in working with a range of difficulties including depression, anxiety, relationship and family issues, addictions, bereavement, abuse, panic, trauma, physical health, personality issues, OCD, phobias and bipolar disorder. I also work with a broad range of clients from diverse backgrounds, cultures, occupations and ages facing a wide variety of life issues. However, regardless of the specific difficulty, if you’re struggling with feeling sad or worried, are experiencing unpleasant emotions, or have come face-to-face with challenging life events, counselling and psychological therapy can help you help you explore your feelings, thoughts and behaviours to manage your situation effectively. I have a particular interest in working with mental health within sport and have helped manage issues linked to mental health for individuals at elite level, and from different sporting professions. Counselling and therapy for mental health within sport can effectively supplement other psychological interventions that are aimed to improve performance. In a previous career, I have also worked within Organisational Psychology and as a management consultant for more than 10 years, thus bring an understanding of the unique challenges and stressors of working in organisational environments. I have extensive prior experience of working within information technology, business and management consulting, thus bring a holistic and informed perspective when providing counselling and psychological support to employees and businesses within Durham and the wider North East of England. The thought of starting counselling or therapy can be difficult and talking to someone about the problems you are experiencing may be daunting so I work in a way which aims to eases any apprehension. It can be hard to make the first contact but the reality is that we all experience distressing events, or difficult feelings at some point in our lives. At those times, a little support can go a long way. Please call or email me to set up an initial 60 minute assessment session. During this we can find out about what is causing you distress and how I may be able to help.